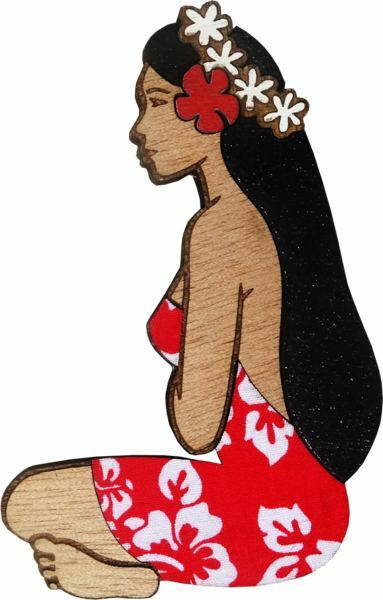 A typical Polynesian magnet to decorate the fridge or other adapted surface. PWooden vahine with a magnet fixed to the back, it is stickable as much as you want. Size : 9 cm (3.54 inches) height.